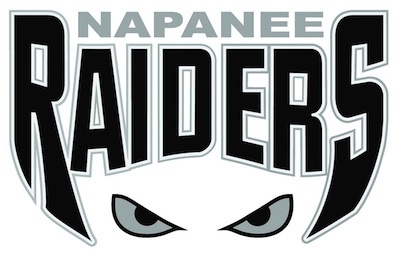 Old rivalries will resume and some new ones will develop over the coming months as the Napanee Raiders get set to embark on their 30th season of Provincial Junior C Hockey League action, which kicks off Sept. 14. Along with facing off against their familiar Tod Division foes, the Raiders will also venture out of the division for a home-and-home series against teams from the Orr Division. Their first out-of-division match will come Sept. 22 when they travel to North Kawartha to take on the Knights. The following night Napanee returns home to host the Uxbridge Bruins. All told they’ll play one home and one away against the every team in the Orr Division, which also includes the Georgina Ice, Port Perry Mojacks, Little Britain Merchants, Clarington Eagles and Lakefield Chiefs, the last of which the Raiders will have played twice in pre-season play. The Orr Division games will count in the regular season standings, however the playoff format will remain the same. The Raiders will need at least a fourth place finish in their division, which still includes the Amherstview Jets, Port Hope Panthers, Campbellford Rebels, Picton Pirates and Gananoque Islanders, to qualify for the postseason. Like the Raiders, the rest of the Tod Division teams will also play a home-and-home with the Orr Division. Tod Division teams will play each other six times throughout the season, three at home, three on the road. With the new schedule comes an increase of games, up to 44 from the standard 40. Like last season, the Raiders will play the vast majority of their 22 home games, 18 of them, on Friday nights. The regular season will run September through February, with the final game scheduled for Feb. 14.